This doesn't guarantee a reservation but we will do our best to accommodate your request! Thank you for your reservation request. We’ll get back to you in the next 24 hours with more information! 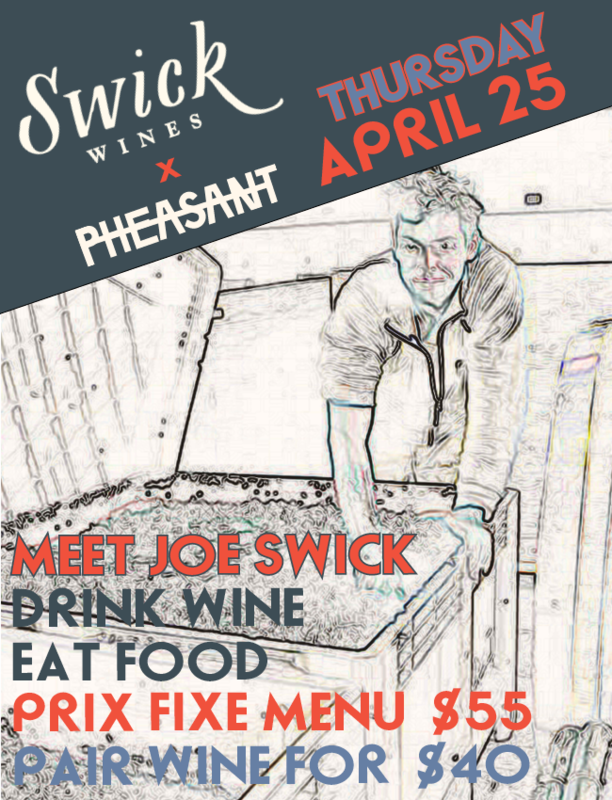 Joe Swick is coming in for a visit all the way from Oregon! To celebrate, we’re holding a special Prix Fixe event. choose a glass or two to try as you please! so be sure to get your ticket on Resy ASAP! Ring in the new year at Pheasant! We're teaming up with Chef JC Poirier of St Lawrence (Vancouver 2018 Restaurant of the Year) to transport you to Provence of yesteryear with an 8 Course family-style dinner.